The conflict has drawn on way too long. Members of your kingdom lay at your feet, but you do not waver. With your fearless spirit and the Female Leather Armour guarding your torso, you turn the tides, exchanging defeat for victory. 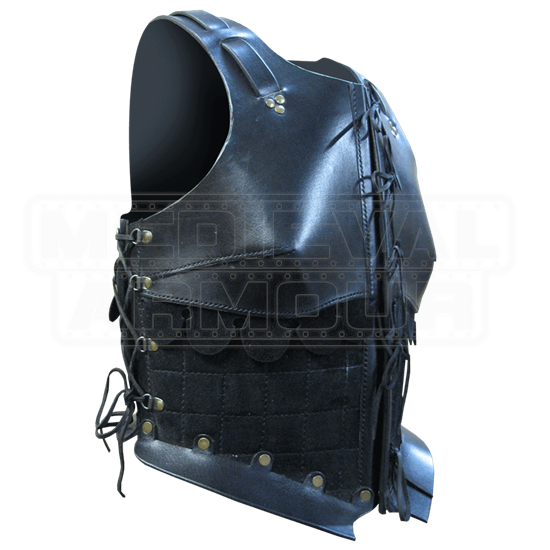 Crafted from full-grain leather, the shaped cuirass provides protection to the chest, shoulders, and underarms. Soft split-leather forms the layer that guards the abdomen and the lower back. A quilted pattern decorates the mid-section, while scalloped trim accents the upper edge. Rivets and stitching reinforce the structure and increase durability. Buckle straps adjust the fit at the shoulders, while cording laces the front and the sides. 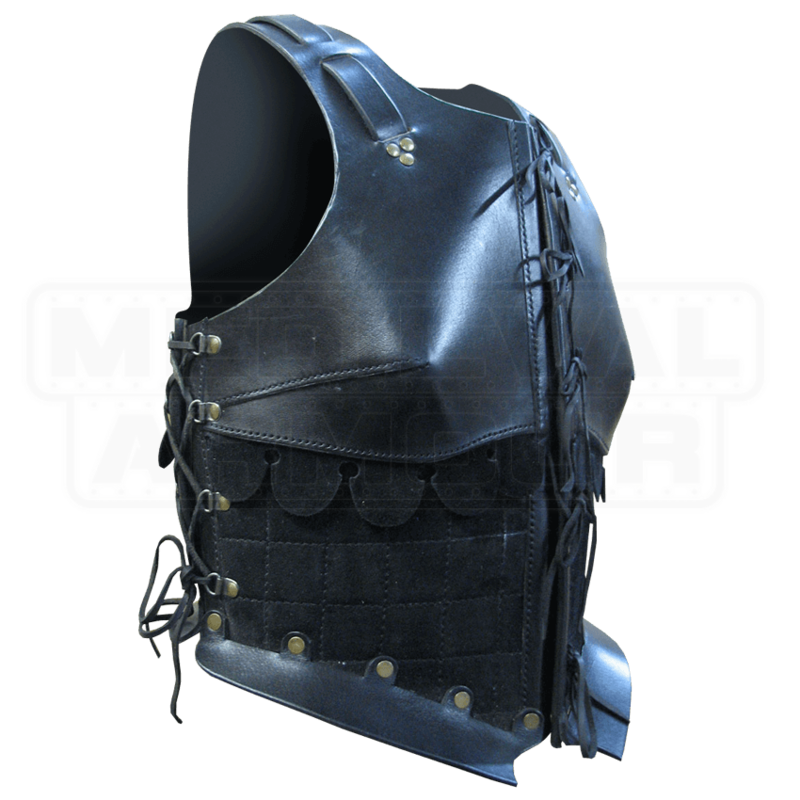 No warrior maiden should be without the strong defense provided by the Female Leather Armour.